Looking for a great buy? This 3bdrm 2.5 bath located in the Piper area. The seller is motivated to move this property! At this price the home is being sold as-is and is in need of some TLC. If you are able to paint and patch a few a walls this home is perfect for you!. This can be your dream home if you can see the potential. Call your agent for a showing today or you can call me! Happy Home Searching. Kansas City is located in Kansas. Kansas City, Kansas 66109 has a population of 151,306. The median household income in Kansas City, Kansas 66109 is $38,073. The median household income for the surrounding county is $39,326 compared to the national median of $53,482. The median age of people living in Kansas City 66109 is 33 years. 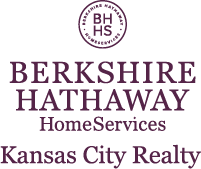 I am interested in 4412 N 121st Terrace, Kansas City, KS 66109.